Browse > Home / Announcements, National News / DFA-Office of Consular Affairs implements RA. 9442 in all their offices. 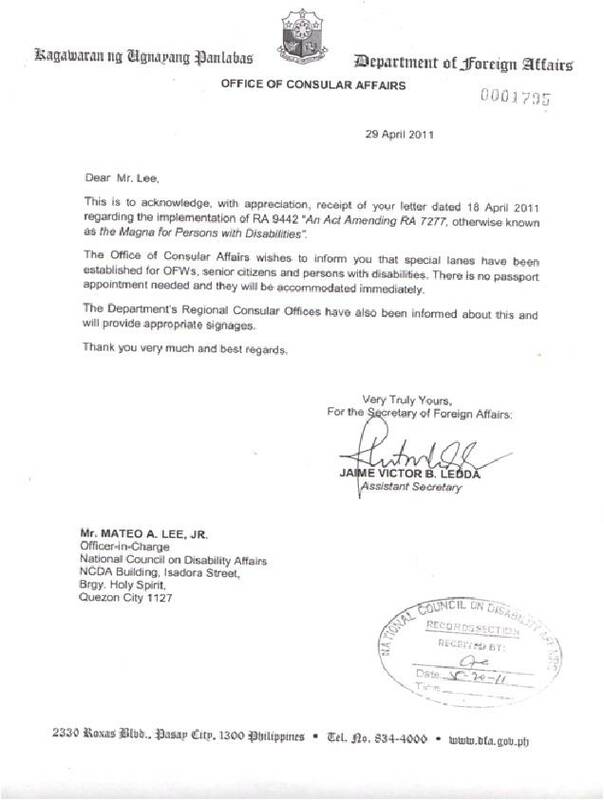 DFA-Office of Consular Affairs implements RA. 9442 in all their offices. Persons with disabilities, Senior citizens and OFWs will no longer be required to have a passport appointment and instead, be accommodated immediately upon their appearance at The DFA offices. The DFA offices will also be providing appropriate signage to inform their visitors of the “Special Lanes”.